Students work to build robots as part of this year's BEST Robotics competition. 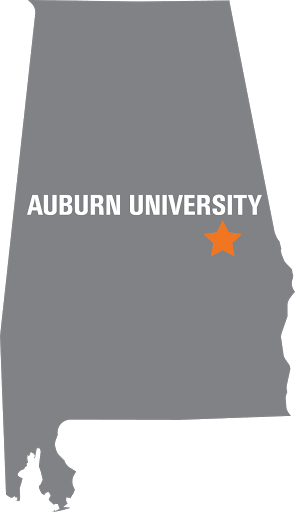 Each year, Auburn University hosts the South’s BEST (Boosting Engineering Science and Technology) Robotics Championship, one of five regional championships that are part of the BEST Robotics program, and for the program’s 25th anniversary, Auburn had the honor of choosing the theme of the game and designing the game. A game theme is chosen each year that reflects issues in today’s world that robotics could potentially solve. A team from the Auburn University Southeastern Center of Robotics Education, or SCORE, led by SCORE assistant director Tj Nguyen, designed this year’s BEST game, “Current Events.” The theme focuses on the use of robots in removing garbage from the oceans. The challenge also includes assessing the litter’s impact on wildlife, and attempting to build artificial reefs with recycled materials. Nguyen was a competitor in the South’s BEST Robotics Championship for four years in high school, and it led him to attend school at Auburn University. Auburn last created the theme of the game in 2007, Nguyen’s senior year of high school. Nguyen has been working with BEST Robotics at Auburn for the last 10 years. Seventeen teams from the east Alabama and west Georgia region competed at the War Eagle BEST competition. The teams had six weeks to build robots for the competition. Robots usually drive around the floor of 24’x24’ fields, but this year, the Auburn University team took the robots off of the ground and put them on an elevated rail designed to simulate ocean movements. “They are riding the ocean’s current in one direction and the robot can kind of use that to assist it and it’s fighting the current going the other direction,” Nguyen said. Typically, BEST games require one robot driver and one spotter. This year’s game requires the team to use a driver plus two spotters – a field scientist and a field engineer – which increases student participation during the competition. “I wanted students to realize that scientists and engineers work together, they both do different things, and they’re both adding to the body of knowledge that helps human civilization,” Nguyen said. During the final competition in December, the game will slightly change to make the competition more difficult. The angle of the current can be raised, game piece locations can change and more. Mary Lou Ewald, director of outreach for the Auburn University College of Sciences and Mathematics, is the founder of the South’s BEST Robotics competition. She said she learned about BEST Robotics, which had programs in Texas and some mid-west states, 19 years ago and wanted to bring it to the south. 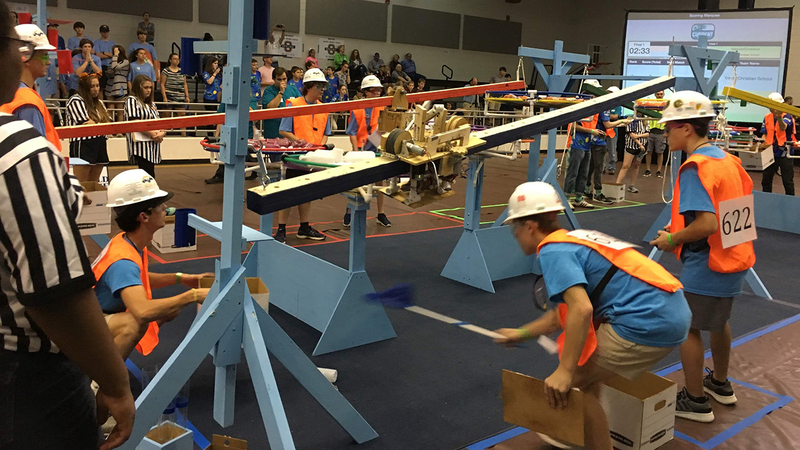 Ewald partnered with the Auburn University Samuel Ginn College of Engineering and the first local competition in 2001 had around 24 teams compete, 60 teams competed the second year. “That’s when we knew we really had something special,” she said. The program started expanding throughout the southeast into Florida, Georgia, Tennessee and Mississippi. There are now 12 competition sites in Alabama and 17 total in the southeast. The South’s BEST Robotics Championship is a big production that takes place at Beard-Eaves Memorial Coliseum. A production company is brought in to produce the event, the competition is streamed live online and on projectors throughout the coliseum, there is a DJ and more. Ewald added that the competition is also a great way to showcase Auburn University to the students. For information on the South’s BEST Robotics Championship on Dec. 1-2, visit www.southsbest.org.